Adopting a child is an exciting time for new parents. But it can also be a drawn-out and complicated legal process. In a stepparent adoption, it is necessary to terminate the parental rights of either the father or mother. In a grandparent adoption, the parental rights of both the biological parents must be terminated. The adoption process in Texas involves a number of detailed steps requiring extensive paperwork. 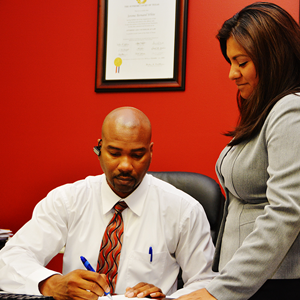 At the law offices of Bell & White can help you throughout the adoption process. The paperwork required for a legal Texas adoption is substantial and includes criminal background checks, establishment of necessary social studies, termination of parental rights, petitions for adoption and final approvals related to name change and issuance of the new birth certificate. If you need legal guidance for an adoption matter we are here to help you explore your legal options. For more information or to schedule an appointment with an experienced adoptions lawyer at Bell & White email or call us todayWhite: 210-374-6292 | Bell: 210-584-8538 | Del Rio: 830-212-7382..
Laredo, Leander, Leming, Leon Valley, Liberty Hill, Live Oak, Lytle, McCoy – New Braunfels, Olmos Park, Peggy, Pleasanton, Poteet, Poth, Rossville, Round Rock, San Antonio, San Marcos, Schertz, Seguin, Selma, Shavano Park, Somerset – Temple, Terrell Hills, Troy, Universal City – Von Ormy – Windcrest.We handle cases in Bexar County, Hays County, Guadalupe County, Bandera County, Webb County, Atascosa County, Kendall County, Comal County, Wilson County, Val Verde County and Goliad County.